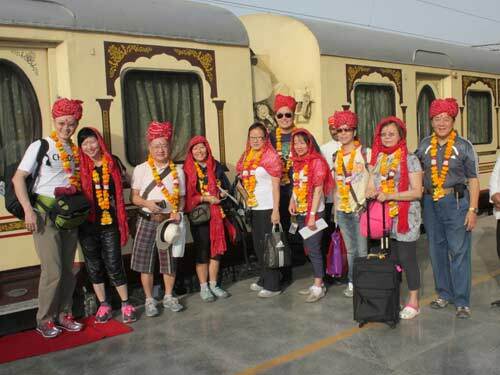 Palace on Wheels is not just a luxury train in India, it is an experience of a lifetime. The pioneer of luxury trains in India, the Palace on Wheels first made its journey in 1982 and hence then has been a standard that few have been able to match to till date. 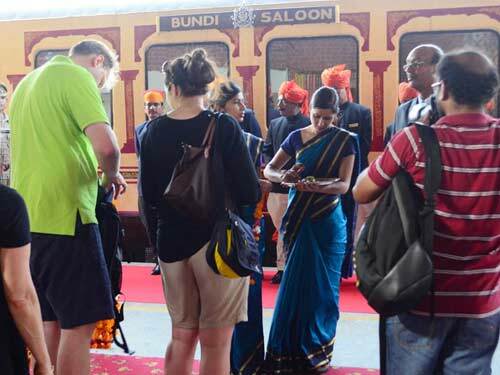 Started as a joint venture by Rajasthan Tourism Development Corporation and Indian Railways, the train began as a luxury experience for guests traveling to Rajasthan from all over the world. Now it's a way of luxury train traveling in India covering the history, heritage, culture and other delights of the royal state of Rajputs. Guests aboard the Palace on Wheels are treated to royal hospitality that make them feel no less than kings and queens. Journeying across the royal land of Rajasthan, witness picturesque monuments, palaces, havelis, forts, temples, explore game reserves converted to national parks and the most important highlight, the view of one of the wonders of the world, the Taj Mahal. 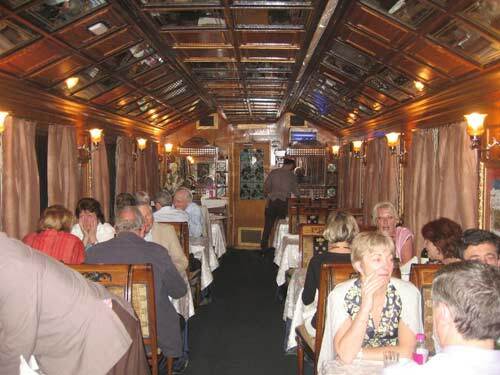 Widely–recognized and praised, the Palace on Wheels has a number of accolades to its name. The luxury train has won the PATA Gold Award in 1987 as well as 2018. In the year 2010, the royal train of India was voted as the 4th most luxurious trains in the world. Introduce yourself to the royal hues of Rajasthan as never before, aboard Place on Wheels, the best luxury train in India treating you to a royal vacation. Palace on Wheels offers sojourns through the Golden Triangle Circuit- Delhi, Agra and Jaipur, Udaipur, Jaisalmer, Jodhpur and Sawai Madhopur. Offering enthralling train journeys, Palace on Wheels have journeys named as; The Heritage Palace on Wheels, Golden Triangle Tour and the Desert triangle with Shekhawati, enthralling, each in their own way. Synonymous with royal pleasures Palace on Wheels offers a range of luxury facilities The 14 fully air-conditioned guest accommodations, each a combination of 4 twin-bedded chambers have facilities of attached toilets, running hot and cold water, wall to wall carpeting, channel music, intercom, and other amenities. To fulfill all you needs on your train, an attendant or 'Khidmatgar' is 24 hours at your service. The leading dailies, newspapers and a large collection of magazines keeps you updated even when you are traversing through the landscape. Dining is organized at the royal dining car where you have an exotic array of dishes to choose from the Continental, Chinese, Indian and Rajasthani cuisines. The Bar, Lounge and even a Spa car offering Ayurveda therapies as well as other treatments are available onboard. Adequate safety arrangements are made for you as well as your personal belongings in the train itself. All essential toiletries like soaps, shampoos, moisturizers etc. are provided in the train.